My boyfriend and I have been apart for almost a year now. We haven't been talking nor seeing each other for a really long time. I miss him so much. I am scared that we will not be able to find each other again. Please pray that God may shower both of us with His love and mercy in these trying times. I really hope that he and I will see each other and spend time together really soon. 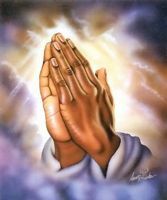 I am begging God's divine intervention to help us be stronger and have more patience. All that we have is our undying faith in God, so he and I can get back together soon. May the Father hear and grant us our prayers. Only God can make anything possible. Amen.